MI-METAL BRAMATI S.r.l. has been operative in the production of precision turned mechanical parts to customer specifications since 1978. MI-METAL BRAMATI S.r.l. is specialised in producing precision turned metallic parts with multi-spindle lathes and CNC. It was established in 1964 by five brothers under its original name F.lli Bramanti s.n.c. and had its workshop in Canonica d’Adda. 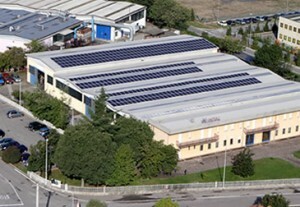 With the need for a larger production plant, it created MI-METAL BRAMATI S.r.l. in Fara Gera D’Adda in 1978, which incorporated F.lli Bramati s.n.c. soon after, thereby creating a single company. Mi-Metal Bramati s.r.l. is specialised in producing small and medium sized mechanical components with automatic CNC lathes, and medium to large sized components using multi-spindle automatic lathes, and thanks to its flexibility and wide range of machinery, it is capable of meeting any client request.